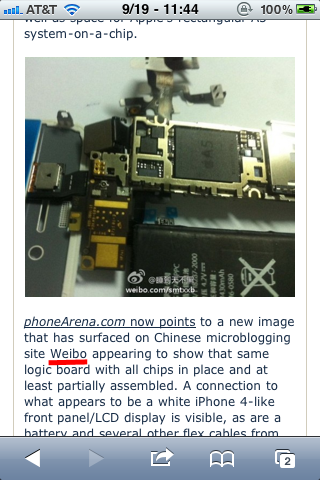 Oh, Chinese tech companies, if only you were aware of old-school internet slang for uncouth non-Japanese people trying to be hip Japanese people. Weeaboo (or Wapanese) is a term given to Japanophiles who obsess excessively over anything even slightly Japanese and glorify every anime and Final Fantasy game as masterpieces, regardless of how bad they are. In truth, these unwanted lot of nerds will typically have an identity crisis, delusional in that they believe they are "Japanese inside" but born in the wrong body. They have no shame in abandoning their own culture for one that obsesses in whale killing and repugnant fetishes, but they will swear up and down on the "superiority" of it. They will usually buy pocky, a Japanese snack, and other Japanese food while using chop sticks exclusively to eat their food, believing that this will make them more Japanese. Though this will of course never happen, much to their dismay. The natural habitat of a weeaboo usually consists of places OTI such as Gaia, anime forums, and even deviantArt. 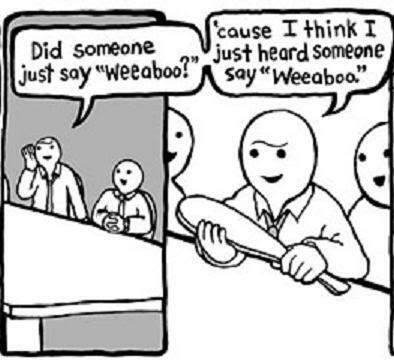 Outside of their rooms filled with anime posters, figurines, and other annoying merchandise that their families are ashamed of knowing about, they can be found at Anime conventions, fan clubs, or your local Panda Express (though your typical weeb is unaware of the cultural differences of Eastern Asians). Additionally, weebs are prone to excessive emoticon usage, mainly of those used by the Japanese. They also happen to combine speaking in English (or any other language) with Japanese dialect, with many of them speaking Japanese poorly. Most of which happen to use honorifics, so you can expect them using "-chan" or "-kun" when addressing people, because it's just so kawaii. 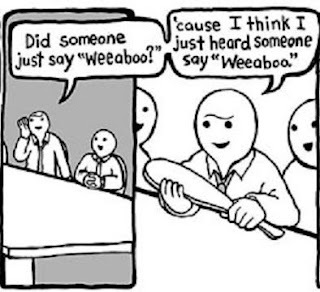 The weeaboo will seek out anything that looks anime-like and watch it compulsively, pepper their sentences with Japanese words, be generally socially inept and shove Japanese emoticons and anime quotes in every sentence. Abduction | What the Hell is This Movie? 'Hot Minute' Not Actually Equal to 60 Seconds?